As part of our new range of chairs, comes this eye-catching chair. 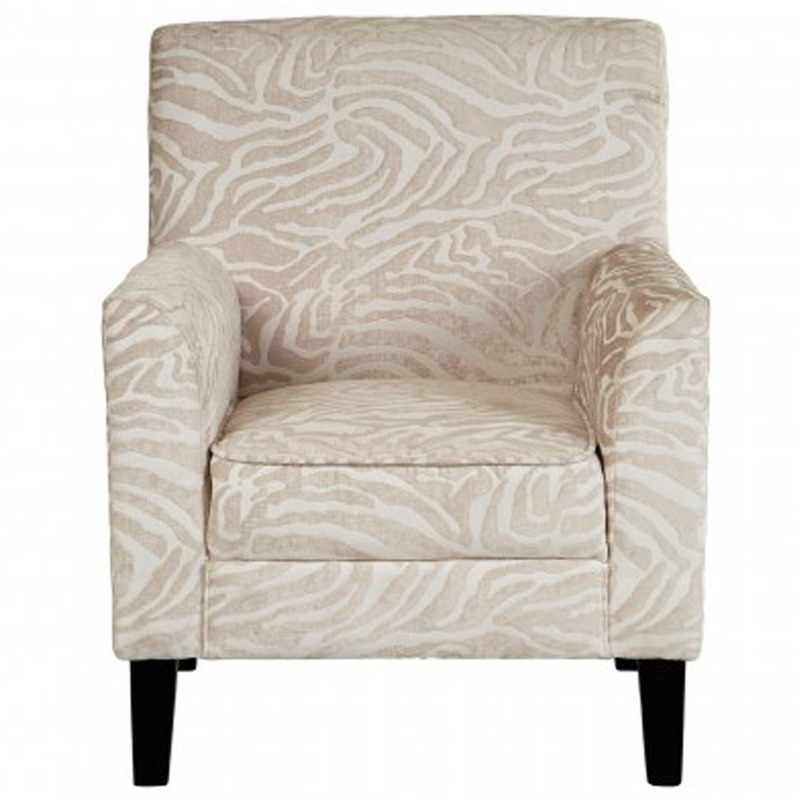 The Luxe armchair comes in a traditional but unique animal print style, in a lovely shade of white, with extra soft padding for maximum comfort. The seat, arms and backrest all are complete with deep padding and covered in white textured fabric. The black natural wooden legs also add to its unique style and provides sturdiness and long durability. This is the perfect way to add a statement piece and style to your home.